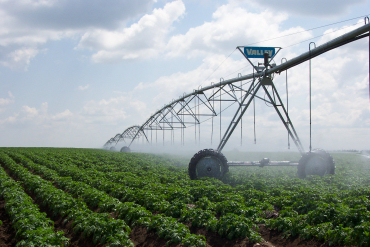 Since 1946… since its incorporation, the Alberta Irrigation Projects Association has sought to increase the level of understanding of irrigation’s value to the Province of Alberta and to promote progressive water management practices. Water is vital to life, the environment and the social and economic well-being of communities. Ensuring water’s wise use and conservation, while at the same time, promoting the benefits of the southern Alberta irrigations infrastructure — are prime activities of the Association and its members. With its headquarters in Lethbridge, Alberta Irrigation is actively engaged in a number of significant research, policy, governance issues and in providing public education and outreach activities. The AIPA is assisted in its mandate by its staff and the direct involvement in projects and initiatives by its members and project partners.